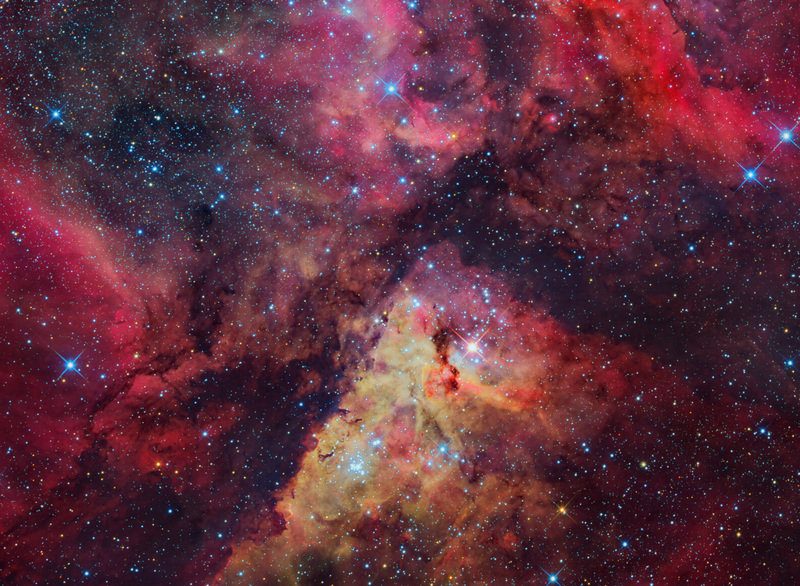 Carina Nebula, glowing intensely red in the middle of the image. Eta Carinae is a highly luminous hypergiant star. Estimates of its mass range from 100 to 150 times the mass of the Sun, and its luminosity is about four million times that of the Sun. 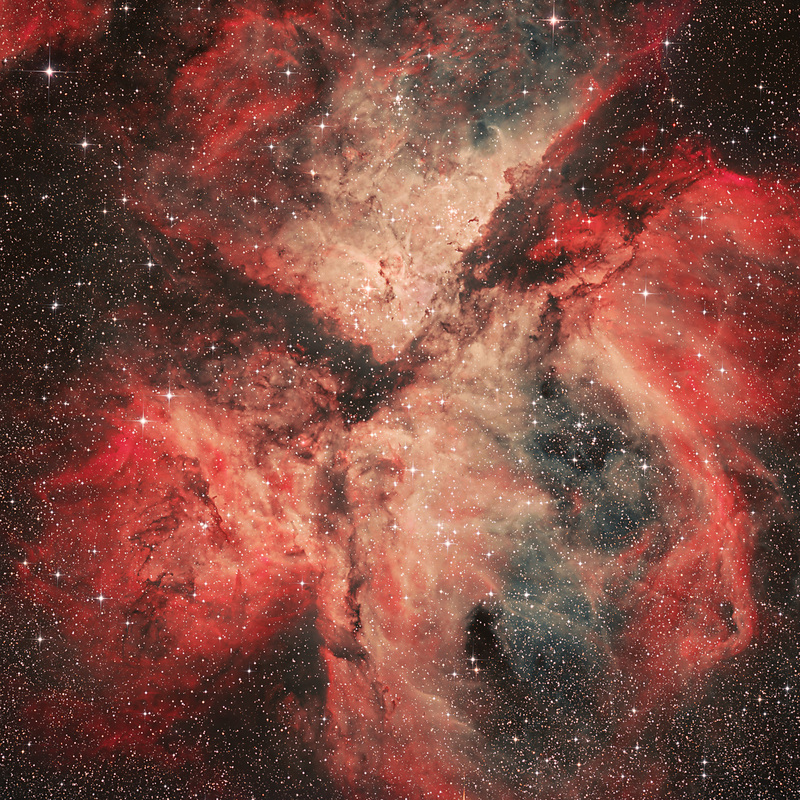 This object is currently the most massive star that can be studied in great detail, because of its location and size. Several other known stars may be more luminous and more massive, but data on them is far less robust. Stars with more than 80 times the mass of the Sun produce more than a million times as much light as the Sun. They are quite rare-only a few dozen in a galaxy as big as ours, and they flirt with disaster near the Eddington limit, i.e., the outward pressure of their radiation is almost strong enough to counteract gravity. Stars that are more than 120 solar masses exceed the theoretical Eddington limit, and their gravity is barely strong enough to hold in its radiation and gas, resulting in a possible supernova or hypernova in the near future. 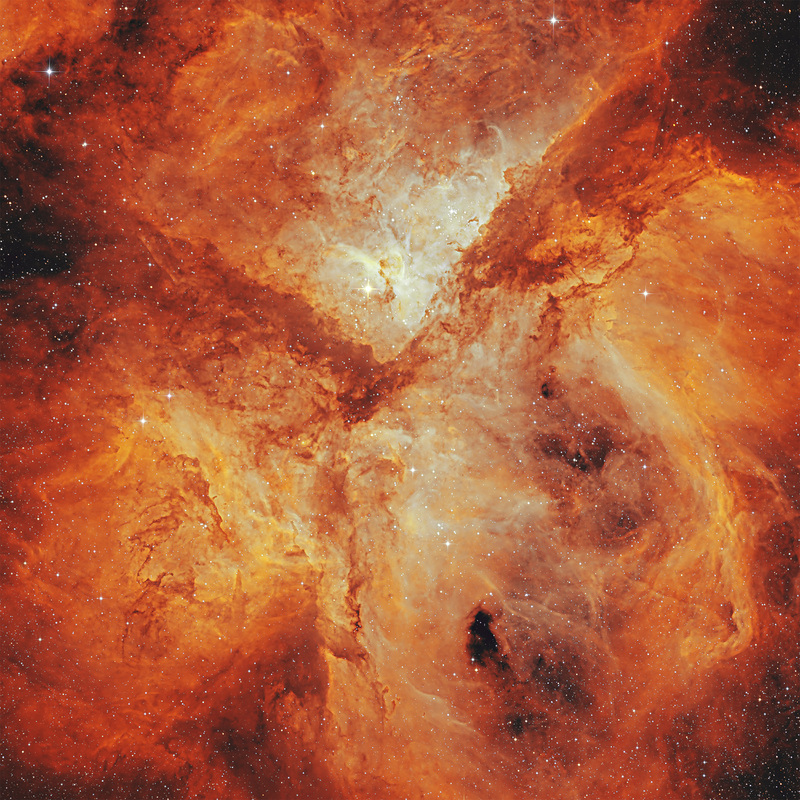 Eta Carinae's effects on the nebula can be seen directly. 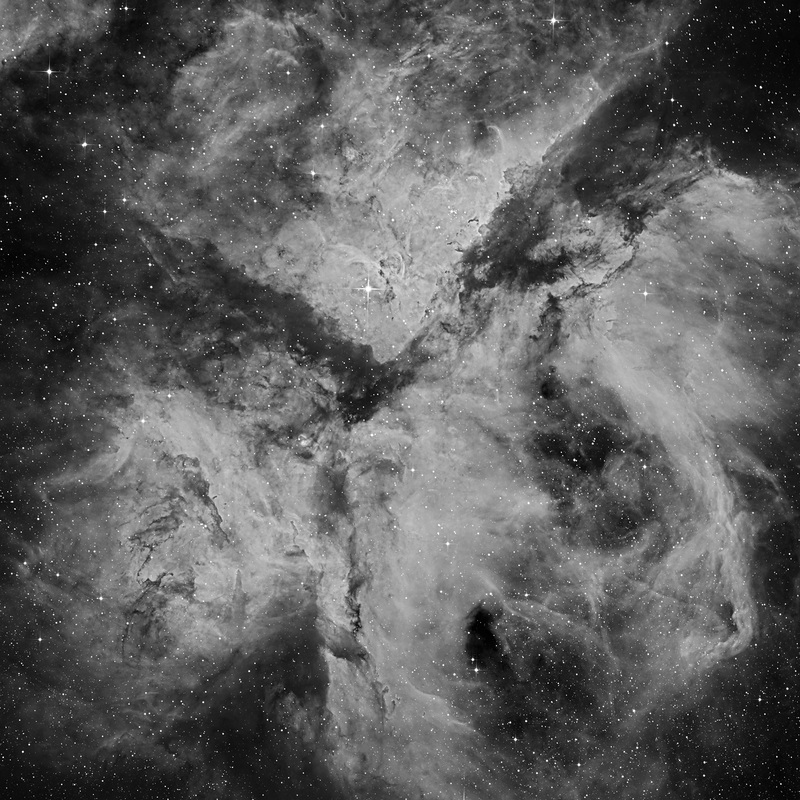 The dark globules in the above image and some other less visible objects have tails pointing directly away from the massive star. 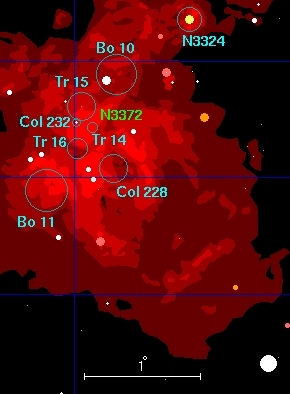 The entire nebula would have looked very different before the Great Eruption in the 1840s surrounded Eta Carinae with dust, drastically reducing the amount of ultraviolet light it put into the nebula.